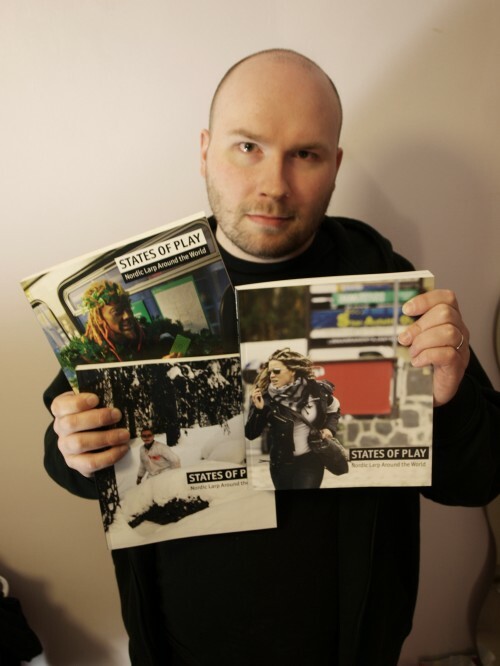 Our new book States of Play: Nordic Larp Around the World came from the printers today. Upper left is the version reserved for the people who contributed to the book. Lower left is the commercial version. On the right is the Solmukohta version.